Q. Is root canal the root cause of chronic degenerative disease? Is this true or just a myth? Is the treatment a safe or viable option to save our teeth? Root canal treatment is the prevention and treatment of diseases and injuries of the pulp and associated inflammation of the bony and soft tissues supporting the tooth. It plays a critical role in maintaining good oral health by eliminating infection and pain, and preserving our natural dentition. The recent controversy on root canal treatment being the cause of chronic degenerative diseases stems from the “theory of focal infection”, which was introduced in the early 1900s as a localised or generalised infection caused by bacteria travelling through the bloodstream from a distant focus of infection. However, in the 1930s, editorials and well-designed studies using more modern research techniques refuted this theory. 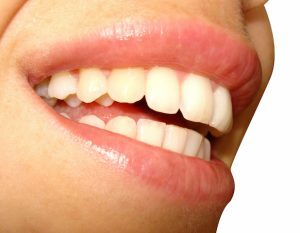 The presence of bacteria in teeth and the mouth at all times, even in teeth that have never had a cavity or other trauma, has been an accepted fact for many years. The presence of bacteria does not constitute “infection” and is not necessarily a threat to a person’s health. A bacteremia associated with a dental procedure introduces bacteria into the blood circulation. It does not arise because of the mere presence of a root canal-treated tooth. Studies have shown that the incidence and extent of a bacteremia are related to the amount of bleeding (trauma) produced by a dental procedure. These studies have shown that non-surgical root canal treatments produce much less trauma and a significantly lower incidence and magnitude of bacteremia when compared to tooth extraction. In addition, there is 1,000 to 8,000 times greater chance of bacteremia originating from of a person’s normal daily activities, including brushing of teeth and chewing of food. Research shows that the healthy immune system takes care of bacteria in a matter of minutes. Today, the medical and dental professions agree that there is no valid scientific evidence linking the relationship between root canal-treated teeth and chronic degenerative diseases. Nothing looks, feels, or functions like the natural tooth. Therefore, it should be saved whenever possible. Root canal treatment, along with appropriate restoration, is a cost effective way to treat infected teeth. In most cases, root canal treatment allows patients to keep their natural teeth for a long time. Very useful information. Thank you v. much. It’s a good and helpful information. Thank you so much . It’s good to know that root canal treatments remain a good option. I’ve had one, and I can’t seem to stop telling people about how much better my mouth feels. I hope that other people who need this kind of therapy take advantage of it, especially when armed with the information of this article. Thanks so much!